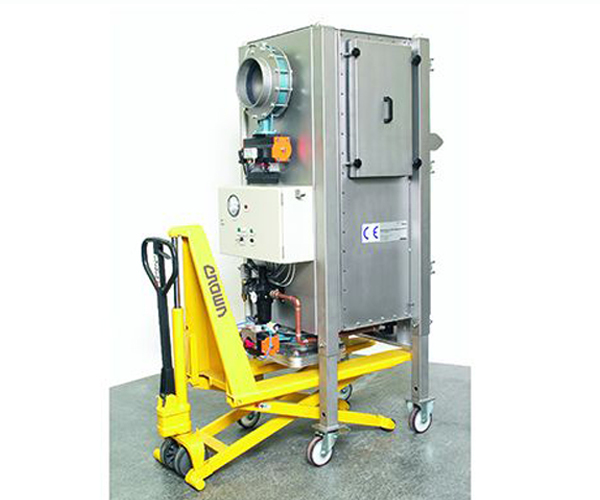 Re-cleanable HEPA filter systems will be used for demanding requirements on the filter separation performance (HEPA), high particle concentrations and abrasive dusts. Tightness of filter housing acc. Tightness of filter seat acc. For simple room air filtering, M-SCF-V alone can be used. For this block, an extensive range of special accessories is available on request, including additional HEPA filter stages, active carbon filter stages, and plug-in sound damper units. To ensure easy decontamination, welded seams on components in contact with the media are free from any gaps and continuously welded.